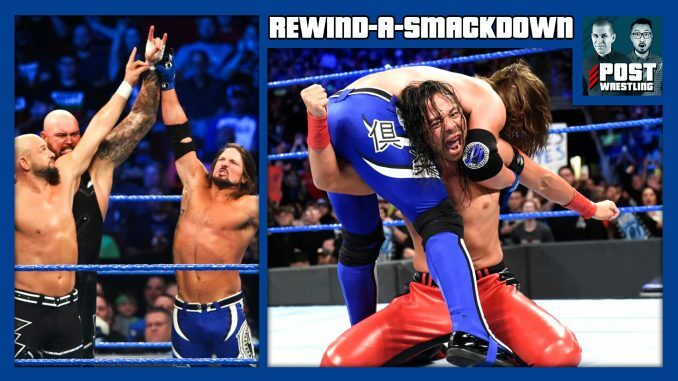 Shinsuke Nakamura debuts his HEEL entrance music before dismantling The (reunited) Club’s Gallows & Anderson in front of a helpless AJ Styles, Big Cass explains why he hates short people like Daniel Bryan, and The Uso’s finally find The Bludgeon Brothers’ “glowing” kryptonite. We run through the entire card and give our predictions for Friday’s Greatest Royal Rumble. 205 Live sees features a show-long guantlet match to determine champion Cedric Alexander’s challenger at the Greatest Royal Rumble. We also talk about Wai’s technical troubles on Tuesday, Trump vs. McMahon, and the lost art of handwriting.